« Visitors at the Liberty Bell in Philadelphia. Take down the barriers around Ocean Grove’s firemen’s bell. Portrait of a leader who represents the electorate or just one of the boys? What will Nicholas Williams’ legacy be? 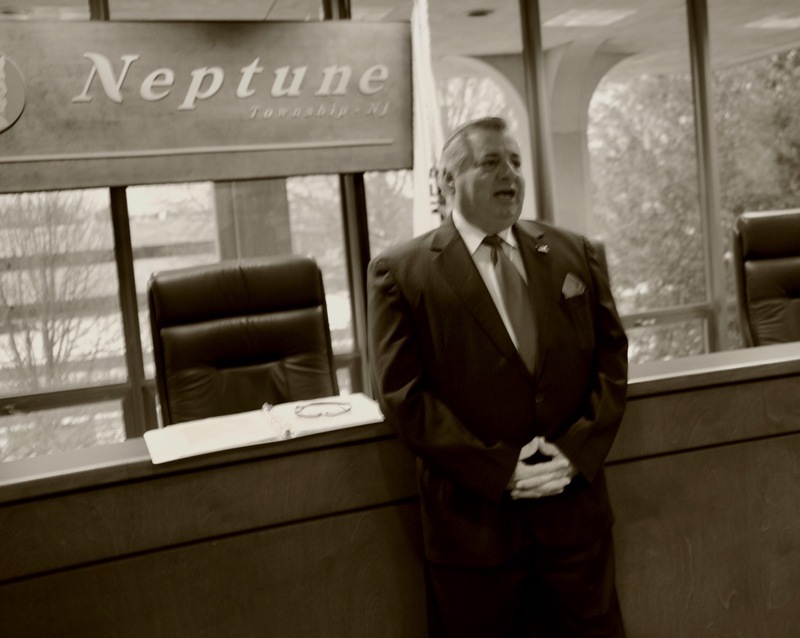 Nicholas Williams—Neptune Township Mayor. Paul Goldfinger photograph at the Municipal Building. 2017. With no qualifications for the position, Williams will probably get a job as Chief of Police, Head of DPW, or Head Librarian when he retires from elected office, as we saw with former Mayor Bishop.